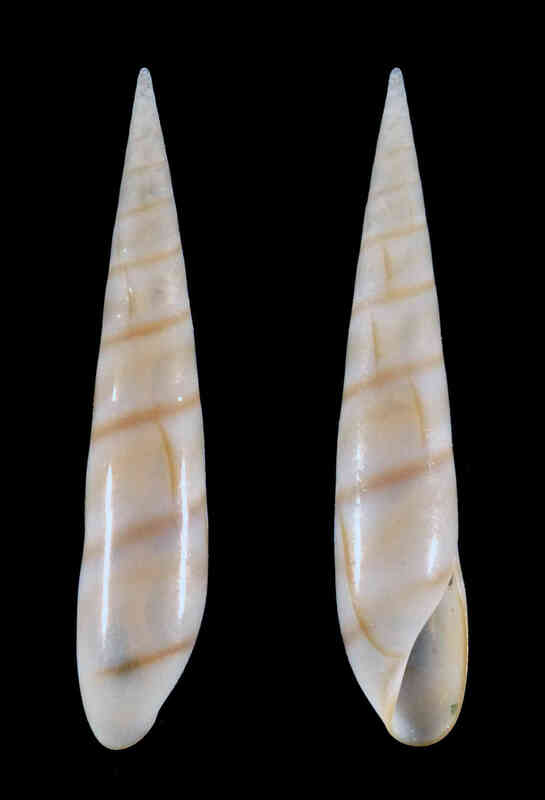 Shell size to 10 mm; shell very slender, narrow, pointed, surface very glossy, slippery. Protoconch translucent, very small. Whorl profile slightly convex. Aperture elongated. Two golden-brown bands just below the suture are diagnostic of this species.